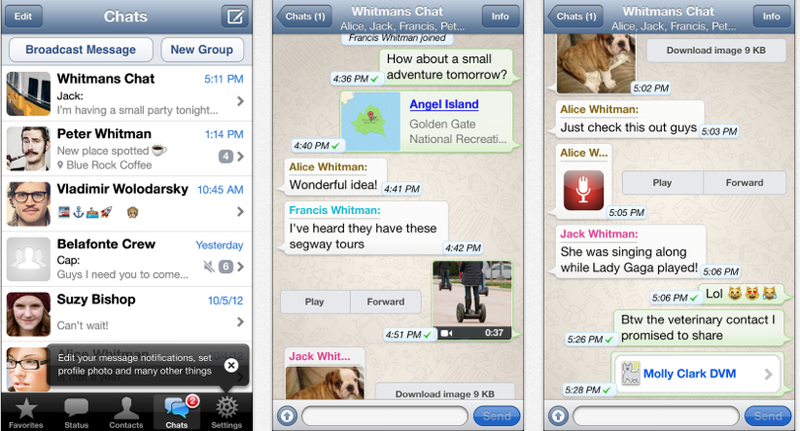 Today’s App Review is WhatsApp Messenger by WhatsApp. When I got my first iOS device I was so excited with Apps like Ping where I could message other iOS users for free and cut my texting costs after years of paid texts and watching my character numbers so I wouldn’t get charged tons I was excited to finally have them free. This was made even better when iMessage came out and I was able to message so many more people for free without a 3rd party App. WhatsApp is a 3rd party App but perfect as it is compatible with all smart phones so you can message friends with iOS or other branded smart phones if you get them to download the free App. The App allows you to send pictures, videos, text and more just like any normal message would and also allows group messages. The App is free and has no hidden charges. The only requirement is that you have an internet connection. However, if you do loose connection don’t worry because the App will save the messages until you get your connection back. This is one failure I found with many similar Apps. The App is free and can be downloaded from HERE then all you have to do is get your friends to do the same and there will be no stopping you.